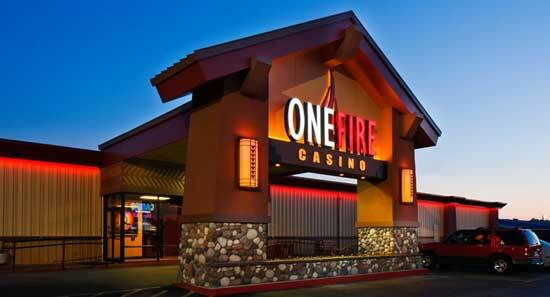 One Fire Casino is one of nine casinos owned and operated by the Muscogee (Creek) Nation of Oklahoma. This casino was previously named Creek Nation Casino Okmulgee. It opened in February 1987 as a High Stakes Bingo Hall. In 2012 it was renovated and reopened as the One Fire Casino. It is 30 miles south of Tulsa on Hwy 75. One Fire Casino is located at the intersection of Hwy 75 and E. Eufaula St. in North Okmulgee.